x86 D3D11 or x64 opengl ? Wich is the best ? I can run only one, which got the best perfs please ? (06-16-2013, 06:41 AM)Comae Wrote: I can run only one, which got the best perfs please ? Nope sorry but my d3d x64 still don't work after this. You didn't need another goddamn thread to ask this, y'know. The ideal solution would be to get all three backends running and use whichever one best fits your needs in terms of speed, AA, lack of graphical issues, etc. Something is wrong on your end if you can't use D3D9. Between D3D11 on x86 builds and OpenGL on x64 builds, I'm inclined to say go with the 64-bit builds though whether you use D3D11 or OpenGL depends on which games you're playing, your GPU, and your drivers. 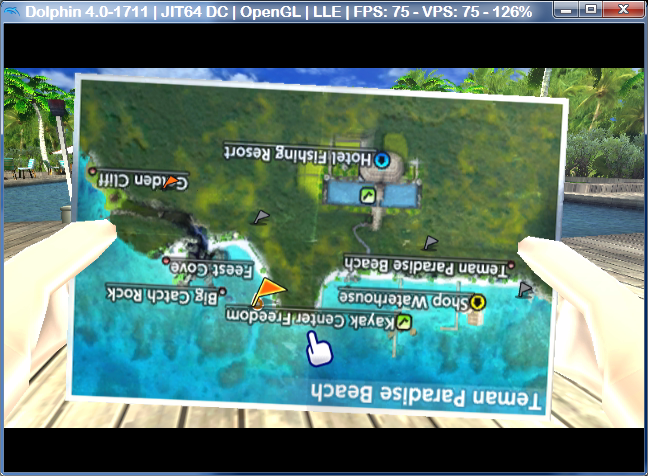 Some games are faster using OpenGL for people; some games are faster using D3D11. Try it and find out for yourself with the games you want to play. Also, is there some reason why you can't use D3D11 on x64 builds or something? If you can only use D3D11 on x86 builds, that's indicative of an issue you should try to fix. Read the FAQ section thoroughly to see what you need to install for Dolphin. And I think I can confirm, x64 opengl is better than x86 D3D !